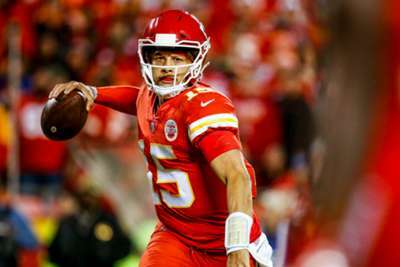 It was the Patrick Mahomes show as the Kansas City Chiefs topped the Cincinnati Bengals 45-10 in NFL action on Sunday. Chiefs quarterback Mahomes led the way in another impressive performance in the AFC West-North duel. After suffering his first loss of the season against the New England Patriots last time out, Mahomes bounced back with a record-breaking display. What can't Mahomes do at this point? The young play caller oohed and awed his way to the top of the record books again. This performance was another NFL best as Mahomes' four-touchdown game pushed him past Hall of Fame quarterback Kurt Warner for the most in any player's first eight games (22) in the Super Bowl era. But, he did not stop there. Mahomes does not need much from his offense, just a couple of targets down the field and a running back or three. He utilised 10 different players in the 35-point victory, but no other Chief had a 100-plus yard night. Kareem Hunt led the running backs with 86 yards and one touchdown on 15 carries while tight end Travis Kelce had the most yards via the pass. Kelce led all of his fellow receivers with 95 yards on just five receptions. Behind him was Sammy Watkins with four catches for 74 yards. Mahomes' favourite target, Tyreek Hill, added 55 yards on seven receptions and two touchdowns. If the Bengals wanted a chance against the Chiefs, quarterback Andy Dalton needed to have plenty of options down the field. But he had only one on Sunday. Wide receiver A.J. Green did nearly all the work with 117 yards on seven catches. It was an impressive performance, and now only two active players have more 100-yard receiving games than the seven-time Pro Bowl player since he entered the NFL in 2011. The only other player to come close to Green was running back Joe Mixon. Mixon rushed for 50 yards on 13 carries, and was the Bengals' second-leading receiver.